w Plains Review, O-Dark-Thirty, The Whirlybird Anthology of Kansas City Writers, and various literary and scholarly journals. 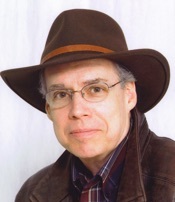 His freelance articles, reviews, and commentary include contributions to The Kansas City Star, Sierra, Chronogram, Rain Taxi, Counterpunch, and National Public Radio’s “All Things Considered.” He holds a doctorate in American Literature from Duke University and has authored Teaching Writing to Adults and co-authored The Heath Literature for Composition. Bob is the Director of Development for the Sierra Club in Kansas and a lecturer at the University of Saint Mary, Leavenworth. He blogs at Uncommon Hours and can also be found on-line at Poets&Writers and LinkedIn. He and his wife Heather make their home in Overland Park, Kansas. 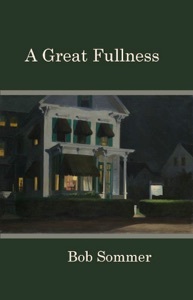 A Great Fullness is the story of an orphan who lives with a secret even she doesn’t know she possesses – the truth about her mother’s death. Growing up amid the endless turnover of guests at her aunt and uncle’s bed and breakfast inn, Kim Pugh tries to find her place in a world where everyone is a stranger and many have secrets of their own. Set in small-town Kansas as the new millennium ushers in a decade of tragedy and war, A Great Fullness traces the fate of one family whose struggle for survival and redemption echoes the turbulence of a troubled world.